Read the new book by the best-selling author of Traffic! 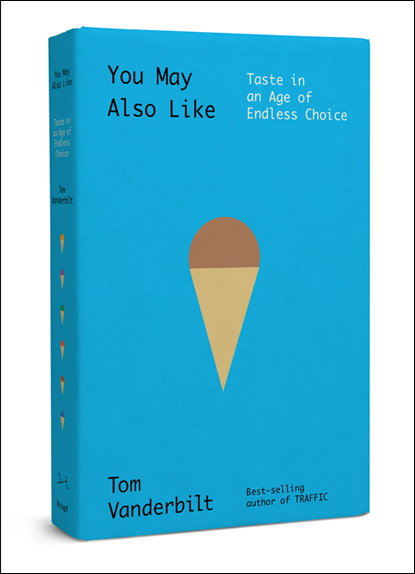 From the best-selling author of Traffic, an enlightening and illuminating look at why we like the things we like, why we hate the things we hate, and what our preferences reveal about us. From the tangled underpinnings of our food taste to our unsettling insecurity before unfamiliar works of art to the complex dynamics of our playlists and the pop charts, our preferences and opinions are constantly being shaped by countless forces. And in the digital age, a nonstop procession of “thumbs up” and “likes” and “stars” is helping dictate our choices. Taste has moved online—there are more ways than ever for us, and companies, to see what and how we are consuming. If you’ve ever wondered how Netflix recommends movies, how to spot a fake Yelp review, or why books often see a sudden decline in Amazon ratings after they win a major prize, Tom Vanderbilt has answers to these questions and many more that you’ve probably never thought to ask. Reverse Innovation Could Save Lives: Why Aren’t We Embracing It? Will Climate Change Remake Human Physiology?